Helford River, Devon — Iris. 'Fowey would be my salvation’ wrote Daphne du Maurier of her twenty-something-self, jaded with London society. First taken there by her prominent actress mother Muriel Beaumont, Du Maurier was so attached to the Cornish countryside that the south coast became the backdrop to most of her back catalogue. The family's old house Ferryside in Boddinick-by-Fowey is rumoured to still be inhabited by relations and if you find it, you can marvel at the view she enjoyed while writing her debut novel The Loving Spirit. Rebecca's Manderly was based on the Menabilly estate near Fowey although sadly it’s not open to the public. Hire a boat and head to Helford – a picture-perfect English seaside village for a pint of cider on the harbour wall at The Shipwright Arms, or to the Ferry Boat for fresh oysters from the Wright Brothers’ Duchy farm. 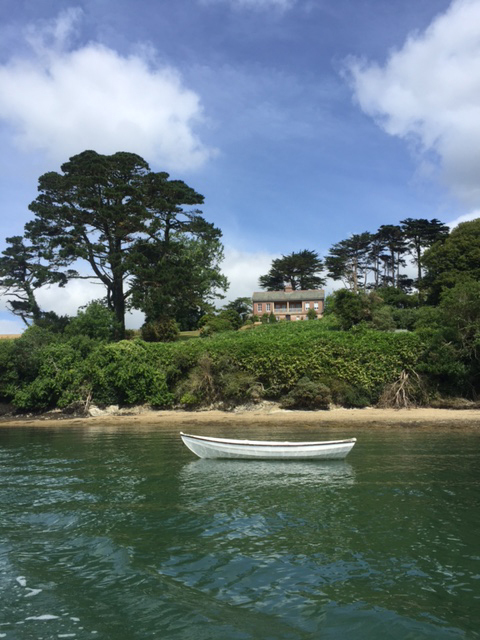 Then pootle down Frenchman’s Creek to see du Maurier’s honeymoon destination, which she later used as the location for her pirate romance of the same name. Must read: Rebecca. The leading lady (who never actually appears in the story) is one of the most haunting villains in literature. Words by Tabitha Joyce. The Iris Letter October 2016.